A Complete Range of Astral/Hurlcon Genuine VX Series Replacement Cells (without HOUSING). 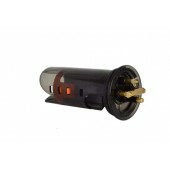 Buy a genuine replacement salt cell for your VX Series Chlorinator online and Pool Supermarket and SAVE! Not only do we have the lowest prices on Chlorinator Replacement Cells in Australia, but we will also ship your Astral/ Hurlcon VX Series Cell direclty to your door - completely free of charge!